The NFL has finally relaxed its celebration rules a bit, so three Detroit Lions wide receivers got some practice in. Extravagant, prop-driven displays by guys like Terrell Owens, Chad Johnson (Ocho Cinco) and Joe Horn led to the NFL tightening up its celebration rules and the term “No Fun League” being coined. Any real display of personality or showmanship, straddling the line of good taste or not, has been strictly forbidden without getting a 15-yard unsportsmanlike conduct penalty. But in an effort to appeal to younger fans, with or without that specific public acknowledgement, the NFL has loosened the reigns on celebrations this year. Antonio Brown’s hip thrust move after a touchdown will surely still draw a penalty if he does it (after two pumps? three pumps? ), but stuff that is otherwise safe for children and not straddling that aforementioned line of good taste largely won’t be cracked down on. Early in the second quarter on Saturday night against the New York Jets, Detroit Lions quarterback Matthew Stafford hooked up with wide receiver Marvin Jones on a five-yard touchdown. Here’s the throw and catch, which was quite good itself. But, wait for it … here are a couple looks at the celebration, as Golden Tate and TJ Jones joined in. Yep, your eyes aren’t deceiving you — they’re doing an imaginary jump rope routine in the Ford Field end zone. Pretty fast too, perhaps with a time limit in mind before a flag might be thrown by the back judge. Your elementary school crush couldn’t jump rope that fast, right? The Lions seem to have a deep group of pass catchers this year, with rookie preseason standout Kenny Golladay in the fold too. 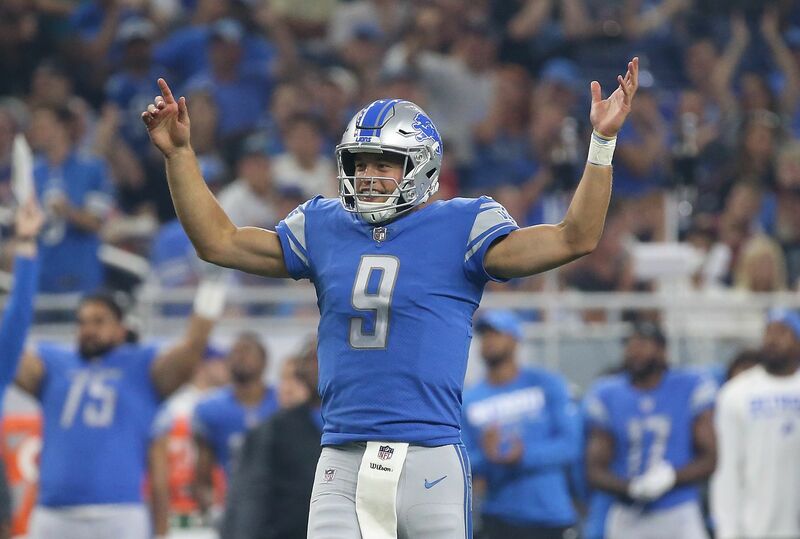 Stafford should throw plenty of touchdowns anyway, so the best legal celebrations by Lions’ receivers may be coming during the regular season.